If you live in Singapore and are a fan of cashless payments, here’s some good news. 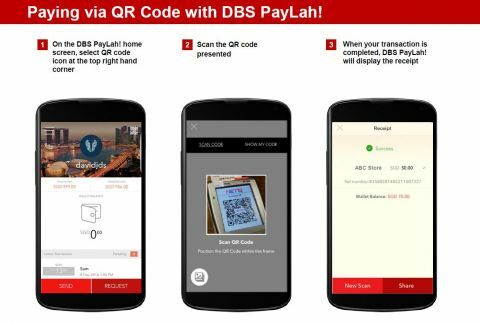 On April 13, 2017, two of Singapore’s leading banks, DBS and OCBC announced cashless payments with QR Codes. To make a payment, people will have to scan a QR Code to make payment using either the Pay Anyone app (OCBC) or PayLah! app (DSB). Currently, OCBC allows only a select few merchants using Network for Electronic Transfers (NETS) to accept payments using the Pay Anyone App. 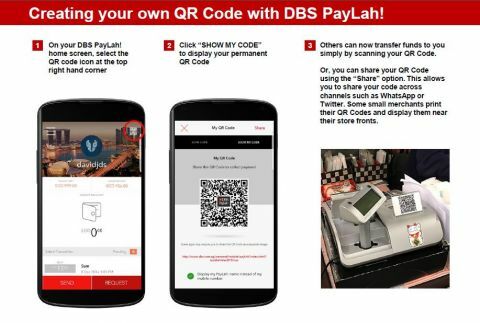 “To make payments to these merchants, customers can use OCBC Pay Anyone to scan the merchant’s QR Code and proceed to make payments of up to $1,000 per day, without need for a card and PIN.” –Aditya Gupta, Head of E-Business Singapore, OCBC Bank. In case of the Paylah! app, any individual or merchant can accept payments using QR Codes. This includes non-DBS using people who have a registered bank account number and a valid mobile number registered in Singapore. Within the next two months, PayLah! aims at getting 2,000 NETS merchants onboard. The bank expects to reach 10,000 merchants by the end of 2017. OCBC’s e-wallet, OCBC Pay Anyone followed a lengthy process to make online transactions. On the other hand, DBS Bank’s online transaction process Paylah! requires a bank account number to complete transactions. With the introduction of QR Codes, the online payment process for both the banks will take lesser time. What are your thoughts on this piece of news? Share your views in the comments section below.